A while back, my family visited Wichita and had a great weekend. It surpassed expectations. Along the way, we stopped in Lindsborg for lunch and to see, well, a castle. And again, that quick stop exceeded expectations (so much so, that we’re planning to return to Lindsborg this summer). So, given this trend, I figure, there’s quite a bit in Kansas that’s waiting to be discovered. 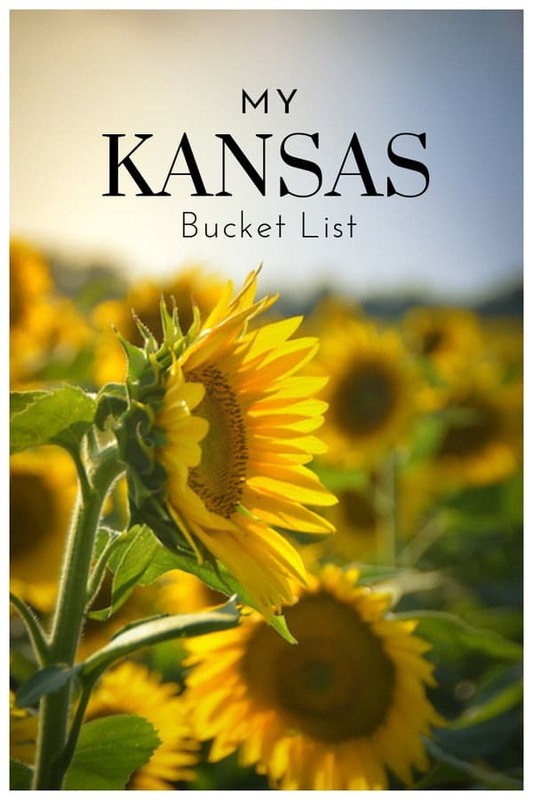 I’ve began a Kansas Bucket List in order to collect my thoughts and start making plans to get to know the state better. If this list inspires you to travel, let me know! The Flint Hills in eastern Kansas is an expansive, hilly region with rocky soil. It’s a unique region because it contains the most dense coverage of intact tallgrass prairie in North America. You won’t find a lot of farms due to the soil. 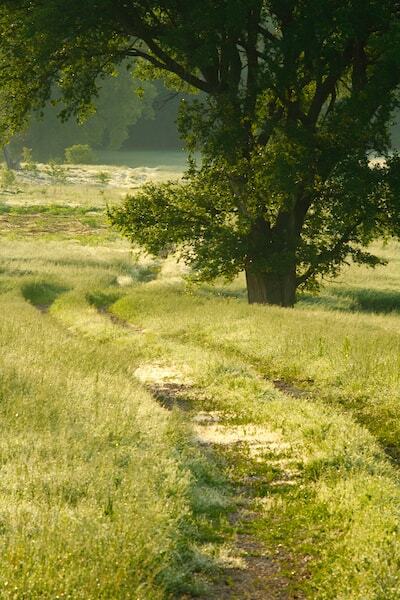 There are several places to hike in the Flint Hills, including Tallgrass Prairie National Preserve, Flint Hills National Wildlife Refuge and Konza Prairie Biological Station. 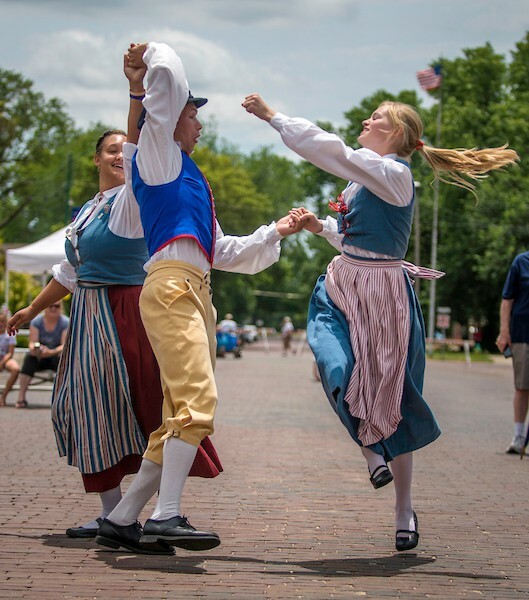 The biennial festival Svensk Hyllningsfest in Lindsborg celebrates the town’s Swedish heritage. The next festival is Oct. 18 and 19, 2019. My dad’s side of the family is proud of their Swedish ancestry so that’s right up my alley. There’s folk dancing, ethnic music, smorgasbord and entertainment. I took the kids to a Tulip Festival in Iowa one spring, and they enjoyed it, so I could see this festival also being good for them. Add To Your Bucket List: While you’re in Lindsborg, there’s a nearby “castle” that should be on your bucket list! We stopped at the Coronado Heights Park, and my young kids were amazed at the picnic structure there that looks like a small, medieval castle. 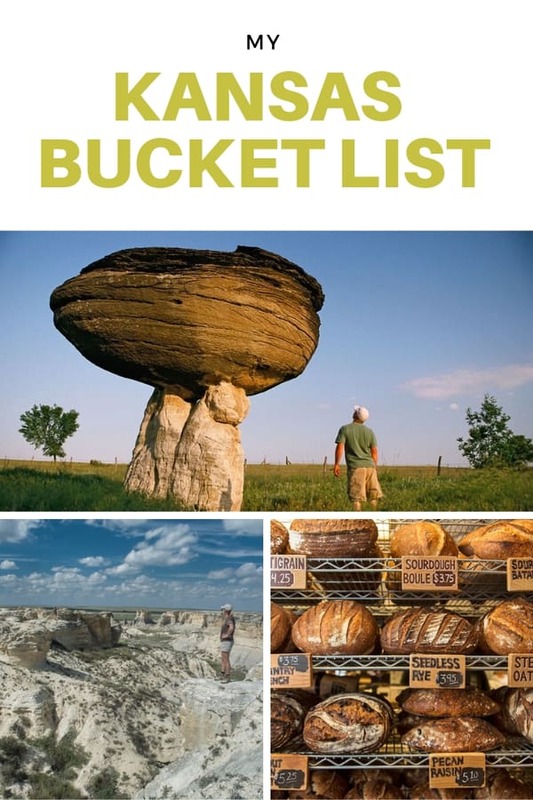 It was so memorable, it’s on the 10 Beautiful Midwest Places To Inspire Wonder list! 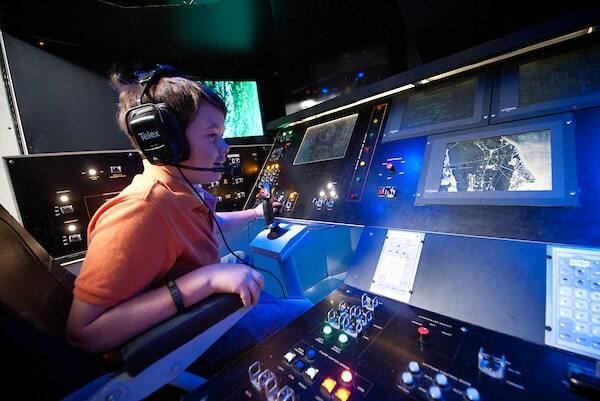 Hutchinson is home to Cosmosphere, a museum with displays and interactive exhibits like the Liberty Bell 7, the Apollo 13 command module Odyssey, and a version of Mission Control desk kids (and I) can sit at. So maybe I’m less astronaut than Mission Control, but who’s counting? Old Cowtown Museum has been on my wish list to visit every since I was planning my Wichita vacation. I still haven’t made it, so my dream of having a chuck wagon dinner or watching the 1880s reenacted remains. I’ll find some similar action at Boot Hill Museum and Front Street in Dodge City. There are places in Kansas where you don’t just watch actors re-enact the cowboy experience – you can live it. Some ranches like the Flying W Ranch in Cedar Point let guests experience the cowboy lifestyle with horseback rides, cattle drives, wagon rides and more. Add To Your Bucket List: Love all kinds of close encounters with animals. Tanganyika Wildlife Park isn’t on my list because I’ve been there, but it’s definitely a worthy bucket list addition for you! Why? Wildlife encounters there include feeding an okapi, lemur or giraffe! Mushroom Rock State Park has some of the oddest rock formations I’ve seen in pictures. Guess what it looks like. I just want to see it in person now. 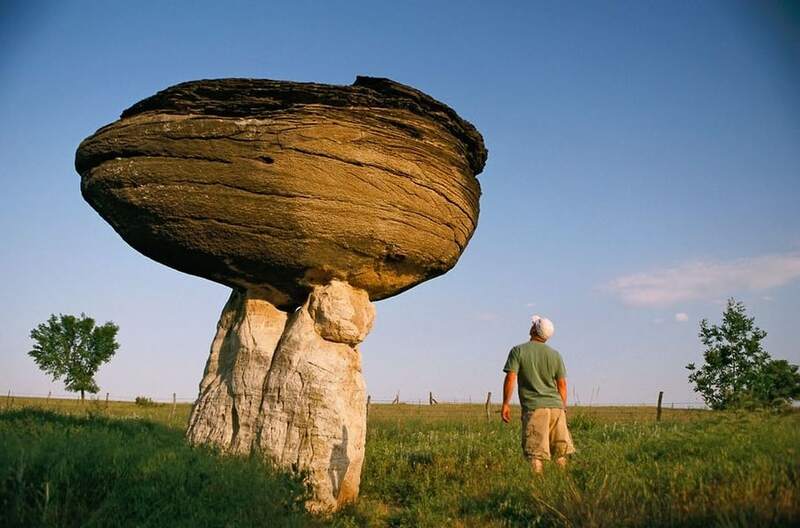 Two others I want to see, located in Gove County in Western Kansas, are the Monument Rocks and Castle Rock. Book lovers, heads up. There’s a beautiful, huge mural on the side of a doctor’s office in Tonganoxie. Yep, Kansas has a Badlands region. In the state’s northwestern corner, a scenic drive, called the Arikaree Breaks Wildlife Drive, takes you through landscape flecked with yuca and prickly pear cactus among the shortgrass prairie. 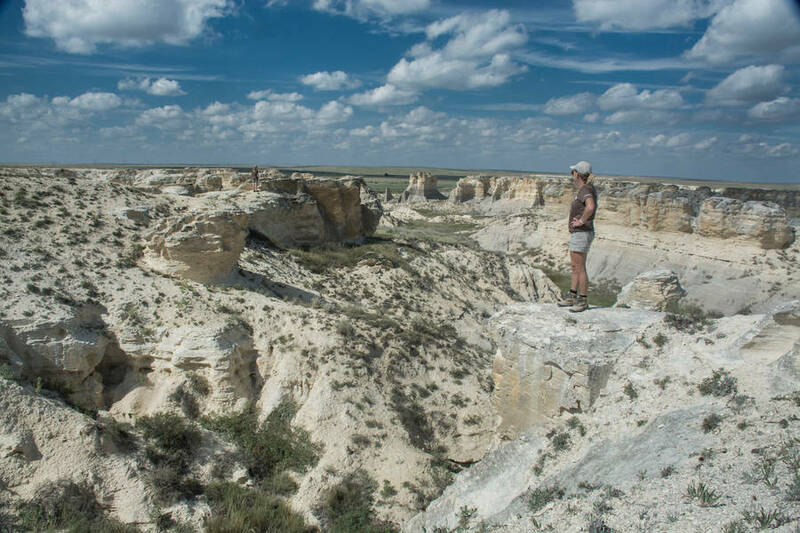 And a new state park, Little Jerusalem Badlands State Park, has even more picturesque views. Little Jerusalem is slated to open sometime in the summer of 2019. Neither place is what I imagine to be Kansas. Kansas has plenty of unique food and unique places to eat, I’ve discovered. On my list includes the hidden gem in Beaver, called Mo’s. Pretty much, it’s a microbrewery with a lot of loyal fans (it has a hard-to-come-by 4.9 Google review rating). One newspaper headline called it a piece of “Cheers” on the prairie. Then there’s Wheatfields in Lawrence, a bakery that gets a lot of attention. 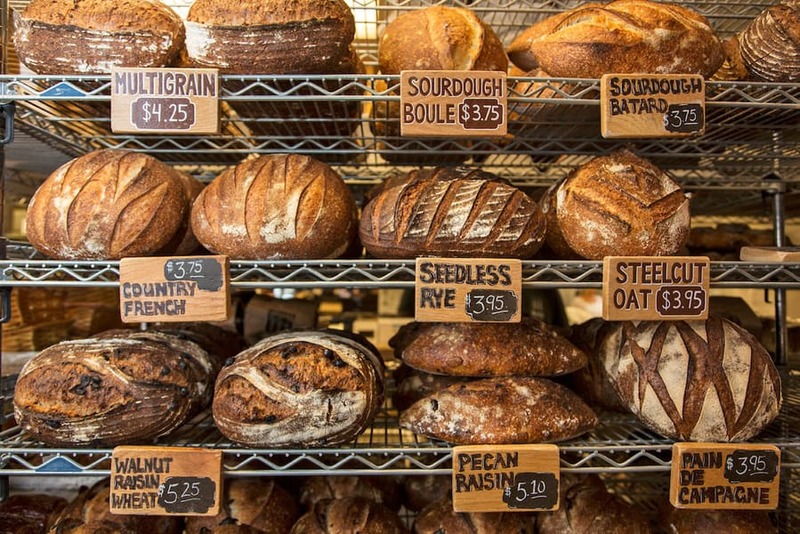 It’s made a USA Today list for 10 great US bakeries, and it has been featured on the Food Network and History Channel. The Stearman Field Bar and Grill at the little Benton Airport made my Wichita Bucket List, but since I didn’t get to visit it when I was in the area last time, I’m including it on this list too so I don’t forget. Why? Where else can you dine that close to planes taking off and landing? In Overland Park, there’s this place called the Brew Lab, and it’s been nicknamed KC’s playground for craft beer lovers. Since this is a bucket list where time and money don’t matter, I’d go here to learn how to brew beer and then brew myself a big ‘ol batch of it. If I’m short on time, I’ll just go and have a pint of someone else’s fabulous concoction and a bite to eat while I’m at it. 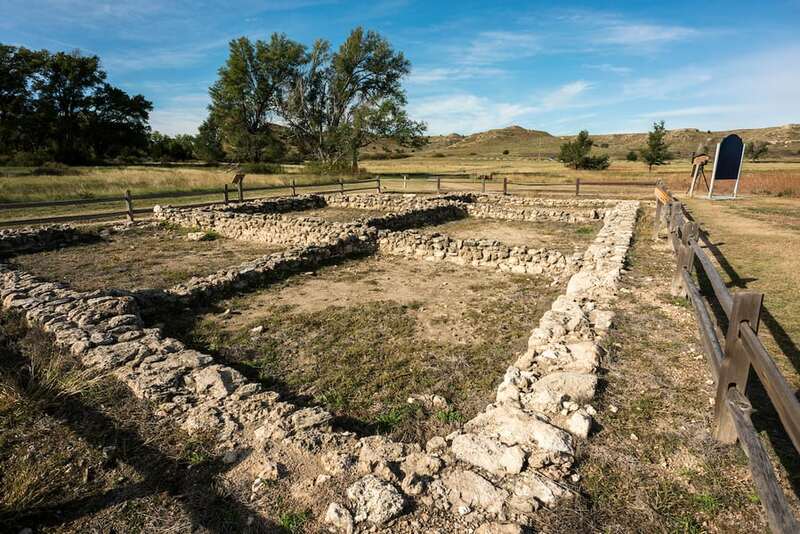 The northernmost Indian pueblo in the U.S. is found in Kansas. El Cuartelejo Pueblo near Scott City dates back to 1650 to 1750 A.D., and the ruins of the site can still be seen today. It became a National Historic Landmark in 1964. It’s not the Sunflower State for nothing. Word is that peak viewing of sunflowers is in late summer, and a great place to find them is at Grinter’s Sunflower Farm near Lawrence. Wow so much to see and so much I didn’t know was in Kansas! Thanks for sharing. Sooooooo proud of all the amazing things my (often overlooked) home state has to offer. Plus also, I need to get myself down the road to Lawrence to try that bread. Yum! Besides the bakery, what other things on the list are left for you to see?